Butokujuku is a dojo of Iaido and Battodo, which was established by Yasuhiro Ohtani Sensei. He is 8th dan, Master of the Musō Jikiden Eishin-ryū. We are pursuing the beauty of mind and body and the spirituality of martial arts through the training of Iaido ‘s reputation and techniques and training of swordsmanship. 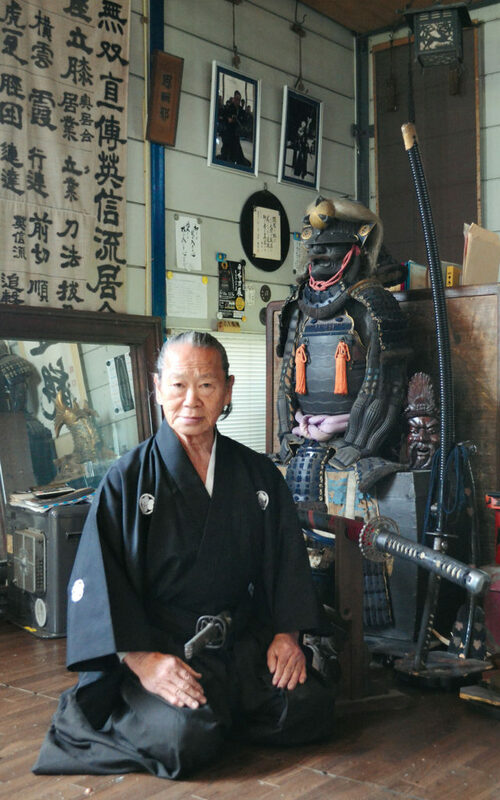 He learned Iaido from Professor Toshio Takeshima who is the 20th generation sect of the Musō Jikiden Eishin-ryū and Professor Kenichi Iwata. Butokujuku is acting as the Sakamoto branch of The Iaido Federation of Kagawa Prefecture and The All Japan Iaido Federation. In Battodo, Butokujuku is a branch of the Japanese Sword Federation. We are trying hard to learn the sword law which can handle swords freely in any situation while training with 10 types of enactment as the basis. Ohtani Sensei’s Swordmanship based on Theory is realistic and beautiful.